Peak Period Short Service 291P is a Peak Period Short Service (PPSS) plying between Tampines Bus Interchange and looping at Tampines Street 33, via Tampines Streets 21, 23 and 32. It connects the residential estates at Tampines East to Tampines Central, as well as amenities such as Tampines Mart. 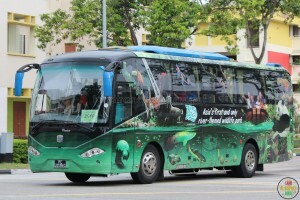 PPSS 291P commenced operations on 24 Jun 2014 as the seventh (7th) PPSS to be introduced under the Bus Service Enhancement Programme (BSEP). 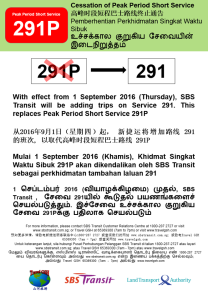 Peak Period Short Service 291P will be withdrawn from 01 Sep 2016. 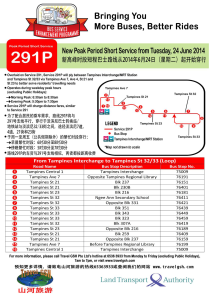 Service 291P duplicates the East Loop of Townlink 291, serving between Tampines MRT and Interchange with Tampines Neighbourhoods 2 and 3. 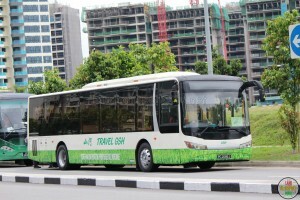 Operated using private coaches from Travel GSH Pte Ltd, the route helps to relieve frequent overcrowding on Service 291. Peak Period Short Services operate at least five trips per hour during Weekday AM and PM peak periods. This initiative taps on the resources of Private Bus Operators to run shorter bus services to augment the resources of the Public Transport Operators (PTOs). With the transition to the Bus Contracting Model (GCM), PPSS 291P was withdrawn from 1 Sep 2016. Additional special departures from Tampines Int plying the East Loop only during weekdays AM & PM Peak Hours were added to replace this service. More information at Changes to PPSS. Fare: Fares for Peak Period Short Services are capped at 3.2km. See Bus Fares. Calculate your bus fare using LTA’s fare calculator on MyTransport.sg here. 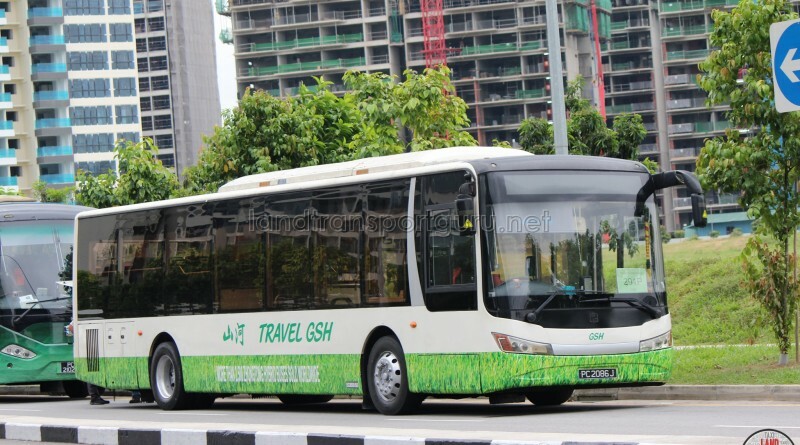 Fleet: Service 291P′s fleet fully comprises of private coaches from Travel GSH Pte Ltd.
2014 (24 Jun): Introduced as a PPSS route from Tampines Int and looping at Tampines St 33 under the BSEP.